A few weeks ago I visited Côte d’Ivoire with the confectionary company Mondelez. We have been working with Mondelez for a number of years now, since they bought Cadbury’s and with that Cadbury’s nascent work on trying to tackle the issues of child labour and child slavery in their supply chains. Both these sets of abuses are rife in agriculture in the global South, often concealed behind the operations of agricultural traders or wholesalers. The reality, however, was revealed at the start of the century with a documentary, Chocolate’s Secret Slaves. This caused a particular shock to both consumers and companies alike and drew attention to the issue, including from the US congress. This in turn forced a rethink by most of the chocolate retailers as to how they were going to manage their supply chains to sustain production and to eliminate the abuses within it. The response by Mondelez bears Anti-Slavery’s distinct stamp: Anti-Slavery’s work with Mondelez led to their adoption and publication of a new child labour policy that puts transparency and pro-active efforts to identify risks and instances of abuse, at its heart. The effectiveness of this was demonstrated this year by the publication of two independent reports, which we were directly involved in commissioning, on child labour in Mondelez supply chains in Cote d’Ivorie and Ghana. This was the first time to our knowledge that a large company had the courage to publish a report that they commissioned on slavery in supply chains. 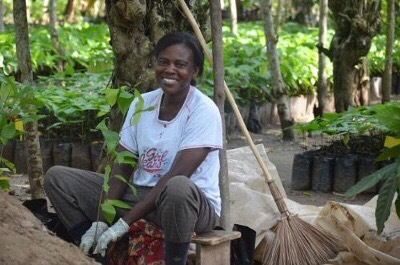 The recommendations of these reports are now being translated into actions by the coalition of NGOs and businesses involved in the Mondelez “Cocoa Life” programme. A third investigation on Indonesia is underway. I was able to see the direct impact of this work myself when I visited Ivorian communities where child labour has been reduced, girls’ education boosted, and women’s empowerment helped to establish new community governance structures to ensure that progress is sustained. I wanted to start with a positive story given the bleakness of the past year. I had some sense we were in for a bad year when David Bowie died on my birthday in January. But just how bad I really could not imagine. We meet in the aftermath of an election in the US that has brought to power a man who has openly espoused racism and boasted of sexually assaulting women. Closer to home Brexit represents a repudiation of the European ideals of working together bound by common commitments to democracy, human rights and the rule of law. Brexit poses a more immediate set of challenges to Anti-Slavery. We were the first and only anti-slavery organisation to highlight, before the referendum, the serious risks that Brexit posed to law enforcement cooperation across Europe in anti-slavery operations, and of reductions of human rights protections to non-UK nationals in Britain that can increase their vulnerability to slavery. Further as Brexit withdraws the UK from the Council of Ministers this restricts radically the UK’s ability to influence Europe wide law and policy against slavery. But the threats are more profound than that. Brexit certainly represents the UK turning its back on Europe. But it also represents a repudiation by the UK of the ideals of rule of law: certainly of the international variety as Brexit represents a desire to be unbound from the international treaties that have drawn Europe together so successfully for so long. But, with the recent attacks on High Court judges for having the temerity of doing their jobs by ruling that parliament is paramount in UK law, we see a repudiation by powerful and vocal sections of the UK population of the ideal of rule of law itself. Advancing rule of law, particularly obtaining adequate human rights protections in national and international law, is an essential front in the struggle against slavery. The absence of such protections leads to the sort of slavery abuses we see from the brick kilns of northern India to the international trafficking of vulnerable workers to the building sites of Qatar and the servants’ quarters of London. An immediate threat to the work of Anti-Slavery International is the UK government’s indication that they wish to repeal the Human Rights Act and withdraw from the European Court of Human Rights. Amongst other human rights issues, over the past decade the European Court of Human Rights have repeatedly held accountable European Governments on their failure to protect vulnerable workers from slavery. This year the threat of referral to the Court forced the British Government to halt the deportation of a client of Anti-Slavery who had come to us with a credible account and substantial documentary evidence of forced labour in the UK, which the British police had refused to investigate when he approached them in two different UK cities. 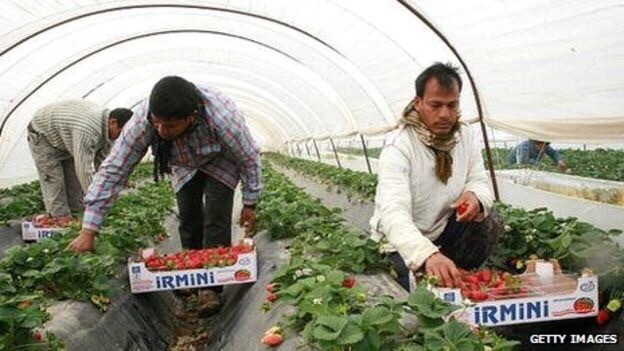 This year we have also made a submission to the Court on a case from Greece where a group of Bangladeshi agricultural workers were enslaved with the collusion of the Greek police, a matter that the Greek Government has failed to resolve in spite of the entreaties of the Greek Ombudsman. Over the past decade, several key judgments highlighted the obligations of the state in relation to slavery – in particular that it is the authorities duty to act on indications of trafficking. Without the Greek government being bound by the European Court of Human Rights there would be no legal recourse for their abject failure to protect the most basic rights of these enslaved migrant workers. Let us hope that Greece is not inspired by the UK’s contempt for the Court to also seek to remove itself from the jurisdiction of the Court. There will be brighter days ahead. But we will not be a passive actor awaiting those days. We represent the oldest and deepest tradition of European human rights – remember the Committee for the Abolition of the Trans-Atlantic Slave Trade was formed by a bunch of awkward Quakers in London in 1787, two years before the French Revolution. So we will be working for better days. Anti-Slavery will place itself at the forefront of the struggle to protect the Human Rights Act. We will continue to strive with our friends and colleagues in the anti-slavery movements of the global South, for stronger national and international action against slavery and for practical measures to empower those vulnerable to slavery, forced and child labour, in both East and West Africa, in South Asia, in Europe and in the Americas. That is another reason why I began these remarks with a brief discussion of our work with Mondelez. It represents the real progress for tens of thousands of people that can arise from our sustained work, without artificially imposed timetables, with people of good will from non-traditional partners as well as with the more traditional variety that we work with. That is also part of the Anti-Slavery tradition, stretching back to Thomas Clarkson’s original organising and campaigning against slavery with all sections of society from business leaders to trade union organisers. The UK’s modern slavery act, which Anti-Slavery played a decisive role in making more fit for purpose than the government’s underwhelming original draft of the Bill, contains a Transparency in Supply Chains clause. This has led to an increased attention by business to the risks of slavery in their supply chains and increased requests from businesses for Anti-Slavery to work with them to help mitigate the risks and hence open greater opportunities for decent work to those currently enslaved. As we grasp these opportunities we fulfil, I believe, the imperative identified by Roger Casement in 1894, that “… we all on earth have a commission and a right to defend the weak against the strong, and to protest against brutality in any shape or form”. And, in fulfilling that commission, we will keep the flame of human rights alive, and continue to change the world for the better.